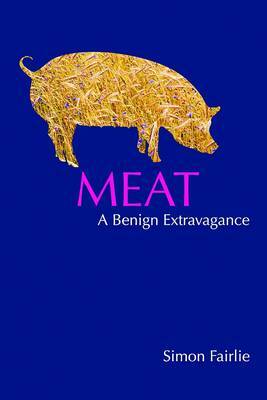 Meat: A Benign Extravagance is an exploration of the difficult environmental, ethical and health issues surrounding the human consumption of animal flesh. It lays out in detail the reasons why we must decrease the amount of meat we eat, both for the planet and for ourselves and explores how different forms of agriculture shape our landscape and culture. At the heart of this book, Simon Fairlie argues that society needs to reorientate itself back to the land, both physically and spiritually and explains why an agriculture that can most readily achieve this is one that includes a measure of livestock farming. Simon is an authoritative author writing about one of the key food and farming issues of the moment. This book demands the interest of the public and media alike and is a major contribution to a debate that is sure to run and run.